Carousel are a 4-piece Indie Americana group from Southend-on-Sea.Their self titled EP was released in September and I have been seeing their name across various publications since. Firstly I have to kick this off with saying that this is a really lovely EP – friendly, warm, inviting, energetic and young spirited with relatable lyrics throughout and a lot to love. 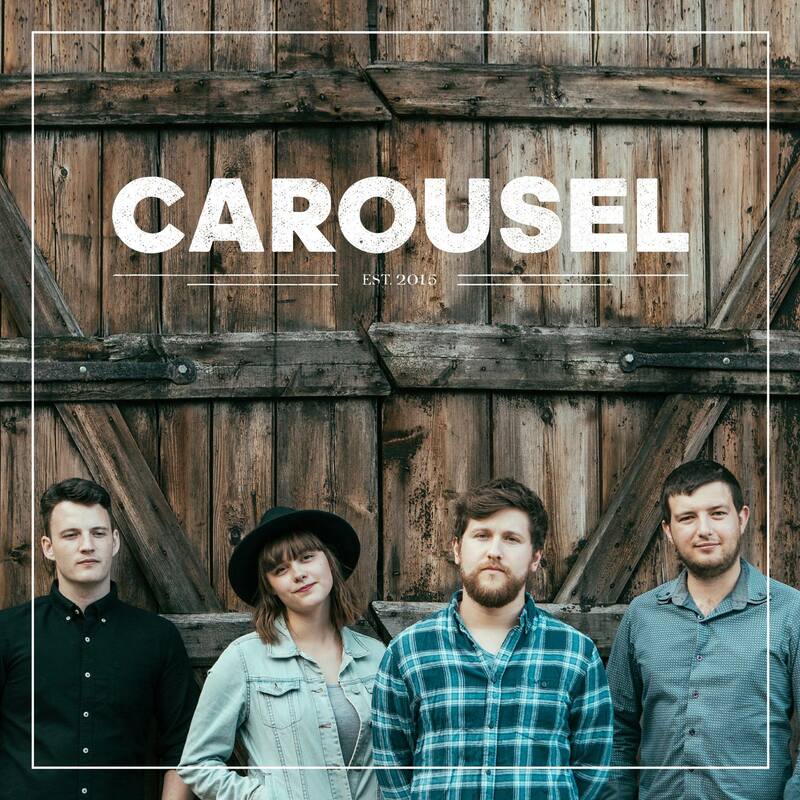 Carousel are Folk/Americana at its best and their music screams an infectious and highly active live setting especially in their track Show. The vocals from the male and female leads are really lovely to listen to and the melodies are all upbeat with beautiful instrumentation. Dead Horse has a strong Americana feel to it with really nice violin moments. Porcelain is stunning with heavenly vocals from Sarah and the male harmonies are just as gorgeous and really make the song stand out. This chilling ballad is hauntingly beautiful and a fast favourite for me. The EP gets a bit more rockabilly in Throw Me To The Wolves and has a great beat to it. The vocals remind me slightly of Jonathan Jackson . The guitar work is exciting and certainly makes you want to get up and do a bit of Rock N Roll dancing. Comfortable Skin brings the EP to a close with a striking folk driven ballad that is quite emotive and enchanting. Overall an EP and a band well worth getting to know.